HIGH QUALITY ITALIAN YARN. 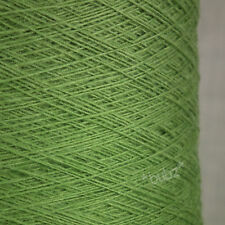 This really is a very high end yarn for applications where only the best quality will suffice. Superb quality Italuan Spun Yarn On Cone. Suitable for knitting, crochet , waving and machine knitting. 780 gr, including inner cardboard Cone. Lolvely pale lilac shade , superbly soft 10%Angora, 40%wool 40% viscose , ideal for all Spring knits . Machine washable at 30C. Looks like 2ply, and I knitted with it on standard gauge knitting machine, tension mark 4 single ply. For hand knitting and crochet, two strands of yarn and use needles/ hooks 3.0/3.5 mm Trying to downsize my yarn stash , check my other listings. Any question , please ask. I always combine the postage, where possible and refund the overcharged. 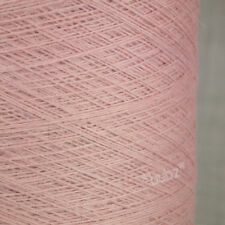 Superb quality Italuan Spun Yarn On Cone. Suitable for knitting, crochet , waving and machine knitting. 665 gr, including inner cardboard Cone. Lolvely pale lilac shade , superbly soft 10%Angora, 40%wool 40% viscose , ideal for all Spring knits . Machine washable at 30C. Looks like 2ply, and I knitted with it on standard gauge knitting machine, tension mark 4 single ply. For hand knitting and crochet, two strands of yarn and use needles/ hooks 3.0/3.5 mm Trying to downsize my yarn stash , check my other listings. Any question , please ask. I always combine the postage, where possible and refund the overcharged. 50% S heep wool and 50% Angora goat wool. Made in Russia by Troitsk Worsted Factory, one of the oldest textile factory in Russia founded in 1797. 60% lambswool, 20% angora; 20% nylon. Delicate, fine yarn. Colour: purple. Fiber Content: 50%-Angora Cashmere & 50%- Silk Yarn Weight Group: DK WEIGHT YARNS (a tension square is recommended) Suggested Needles Size: US 4-6 (3.25-4 mm) Quantity: 2 balls x50 gr Unit Ball Weight: 50 gr. (1.7635 oz.) per ball Unit Ball Length: 220m( 240yards) per ball Ball size: 10cm x 5cm x 4cm Main Color Please see photo for details. Lot # 290 Wash Care Machine Wash Warm Gentle, Dry Flat Keywords: Extremely feeling soft and comfortable. Fiber Content: 50%-Angora Cashmere & 50%-Silk Yarn Weight Group:1-ply or LACE (a tension square is recommended) Suggested Needles Size: Hand knit needles US 0000-3 2-3.25mm 9 sts or more per inch Quantity:1 ball x50 gr Ball size :10cmx5cmx5cm Ball Weight: 50 gr. (1.7635 oz.) 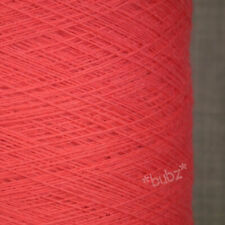 Cone Length: 400m( 440yards) per ball Main Color: .Please see photo for details. This section is for extremely fine yarns, which are used more often for crochet doilies and very open lacy shawls. Machine knitting with one strand might present some difficulties in knitting off the needles. The standard gauge knitting machines should use their fine knit bar. More commonly used in double bed multi-color fabrics. When knitted in an open & loose fabric, it is a perfect,light & airy fabric for lace curtains and shawls. Fiber Content: 50%-Angora Cashmere & 50%- Silk Yarn Weight Group: DK WEIGHT YARNS (a tension square is recommended) Suggested Needles Size: US 4-6 (3.25-4 mm) Quantity: 1 ball x50 gr Unit Ball Weight: 50 gr. (1.7635 oz.) per ball Unit Ball Length: 220m( 240yards) per ball Ball size: 10cm x 5cm x 4cm Main Color Please see photo for details. Lot # 290 Wash Care Machine Wash Warm Gentle, Dry Flat Keywords: Extremely feeling soft and comfortable. Fiber Content: 50%-Angora Cashmere & 50%- Silk Yarn Weight Group: DK WEIGHT YARNS (a tension square is recommended) Suggested Needles Size: US 4-6 (3.25-4 mm) Quantity: 5 balls x50 gr Unit Ball Weight: 50 gr. (1.7635 oz.) per ball Unit Ball Length: 220m( 240yards) per ball Ball size: 10cm x 5cm x 4cm Main Color Please see photo for details. Lot # 290 Wash Care Machine Wash Warm Gentle, Dry Flat Keywords: Extremely feeling soft and comfortable.